My husband has had glasses and poor eye sight since the age of 10. He was constantly having headaches and by the end of the day, it was all he could do to wear his glasses or contacts. Now that he is 30, we decided it was time to do something about that! My husband loves wakeboarding, snowboarding, hiking, swimming and pretty much anything outdoors. I can’t even count how many times his contacts would come out while we were out doing something or his headaches were so bad that the things he loved to do weren’t so much fun anymore. 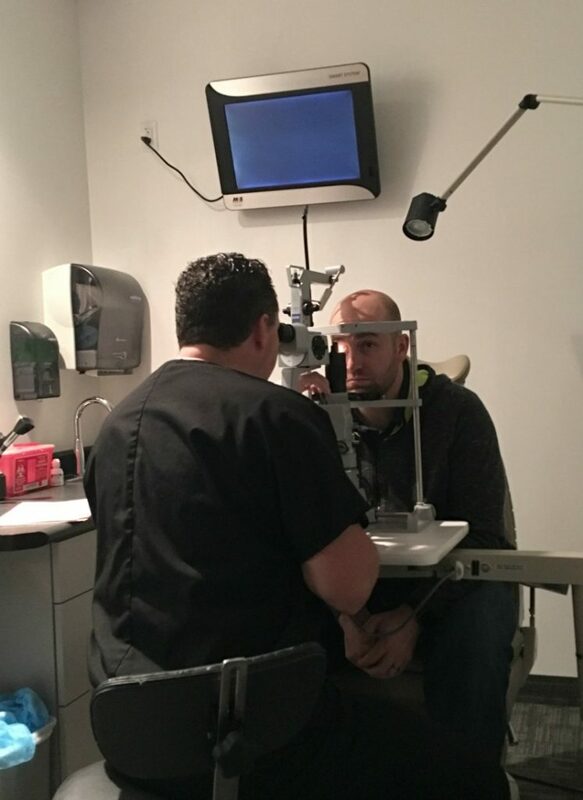 We did a ton of research to make sure he would be in the best hands when it came to having LASIK eye surgery. After all of our research we knew that Hoopes Vision was the perfect fit! 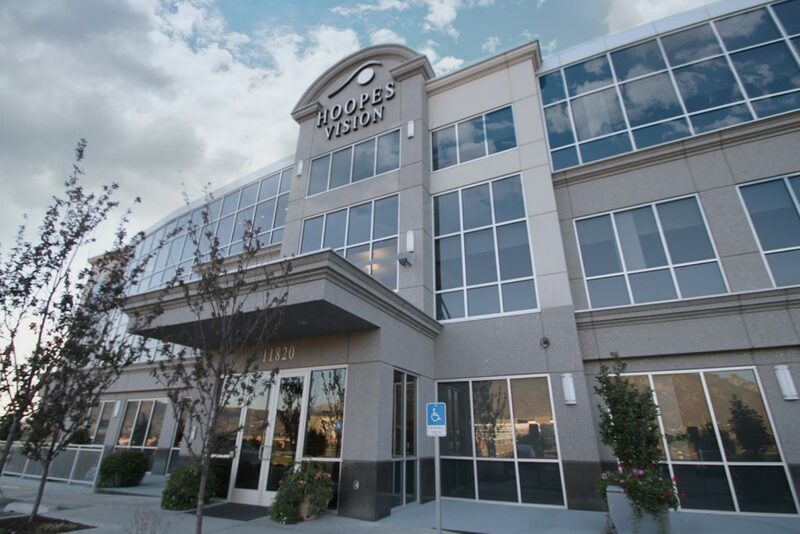 Hoopes Vision is one of the premier surgical vision correction centers in the United States. For over 15 years, Hoopes has provided tens of thousands of patients the best vision correction available! 1. Get to know your surgeon. Selecting a surgeon is probably the most important choice you’ll make when it comes to getting LASIK. 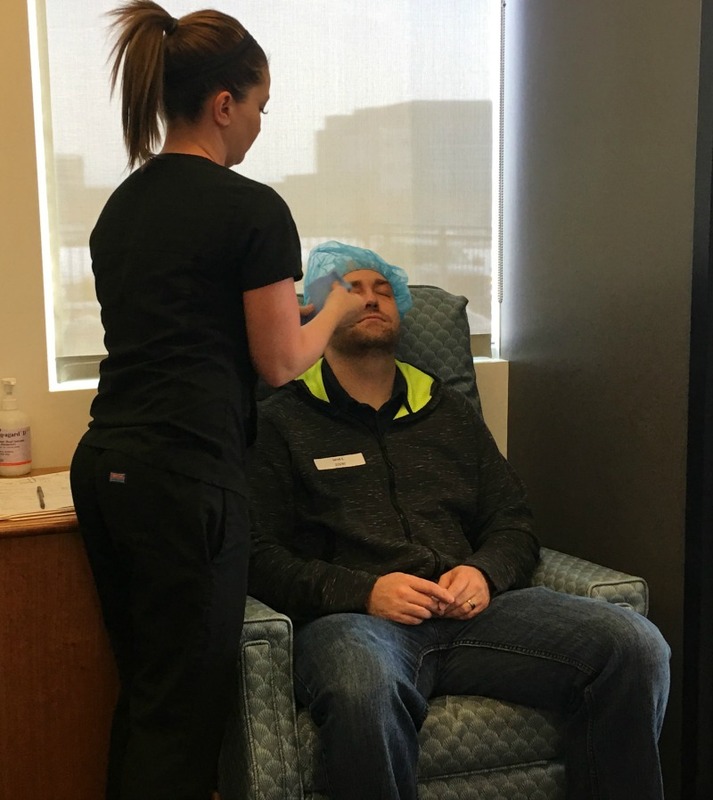 I was probably more nervous about LASIK than my husband was because the thought of having lasers shot into your eyes can be pretty scary! 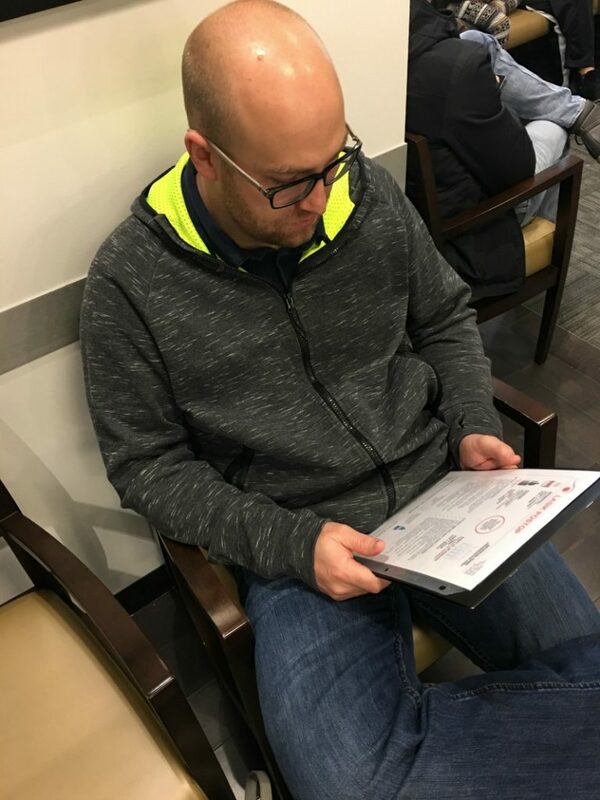 Like I said earlier, we did a ton of research about where to go for LASIK eye surgery and after we read about Hoopes Vision and Dr. Hoopes, we knew we were in good hands. He was one of the first eye surgeons in the country to perform one-stitch and no-stitch cataract surgery and helped pioneer astigmatism surgery. 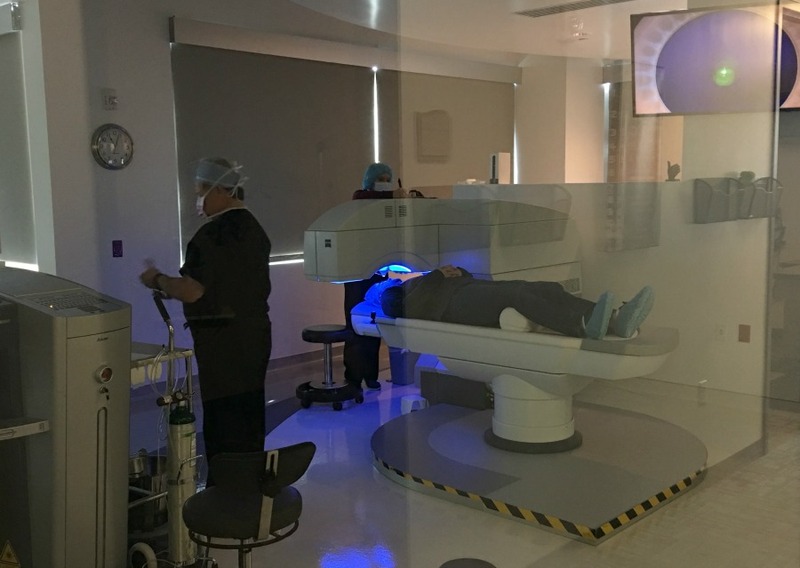 His previous practice was one of the few centers in the country to be involved with the FDA clinical trials and testing that led to the approval of many of the laser systems used today for LASIK surgery. 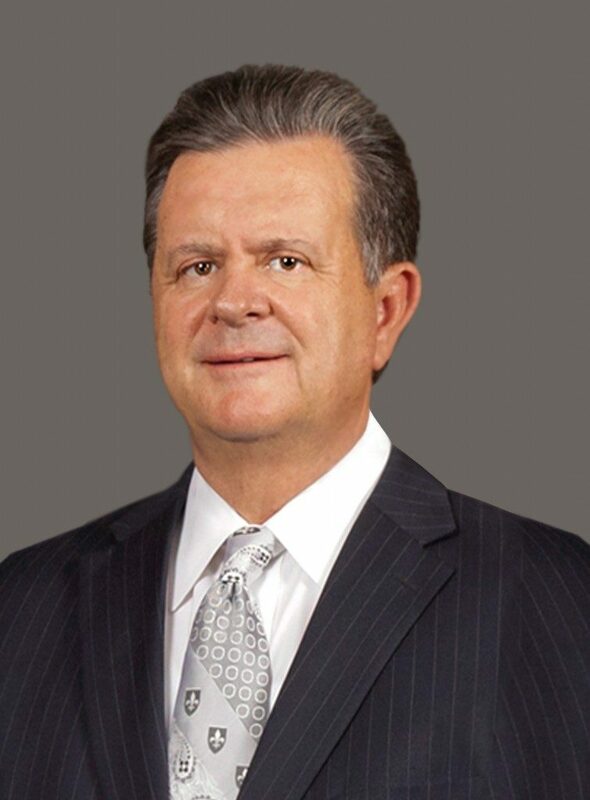 Not only is Dr. Hoopes an amazing surgeon, but his flagship facility in Draper, Utah has the most advanced collection of vision correction lasers in the state, housed in a climate-controlled laser suite designed to optimize their performance. Even with all of the technology housed in the Hoopes Vision facility, we still felt so comfortable. They even provide fresh baked cookies for all their guests and comfortable seating for friends and family of the patient. It doesn’t get much better than that! 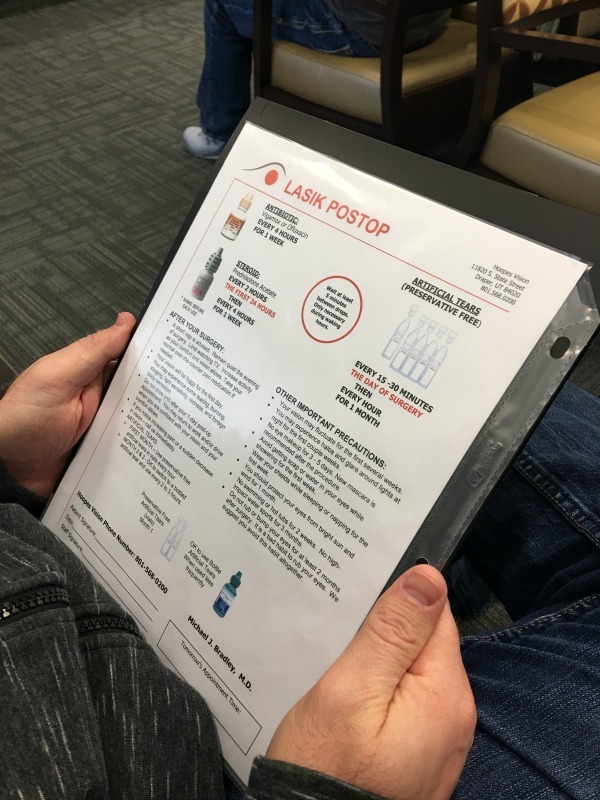 I don’t think I fully understood what LASIK was until we went in to Hoopes Vision for a consultation (which is absolutely free to anyone interested in getting LASIK!). 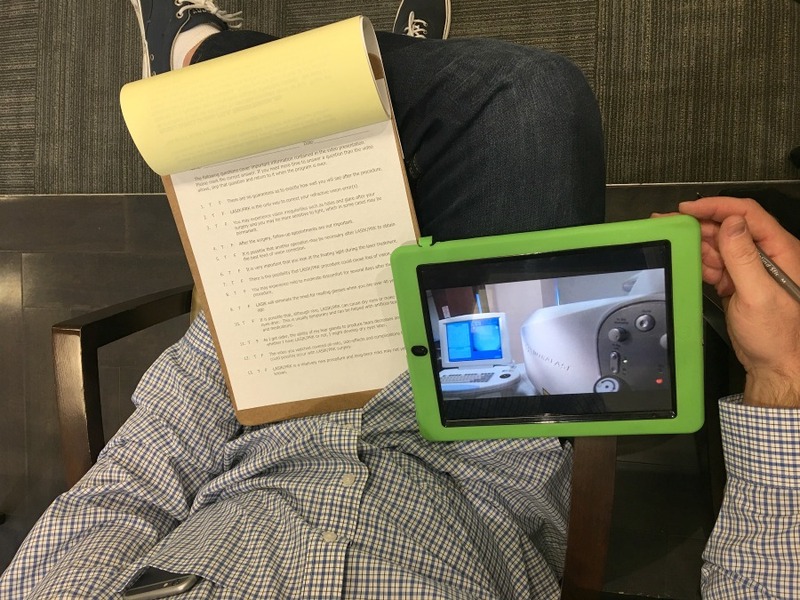 As soon as we were checked in, they gave us an iPad that walked us through every step of the procedure, as well as a little test to make sure we understood everything. Next, they ran a series of tests to see if my husband would be a good candidate for LASIK. 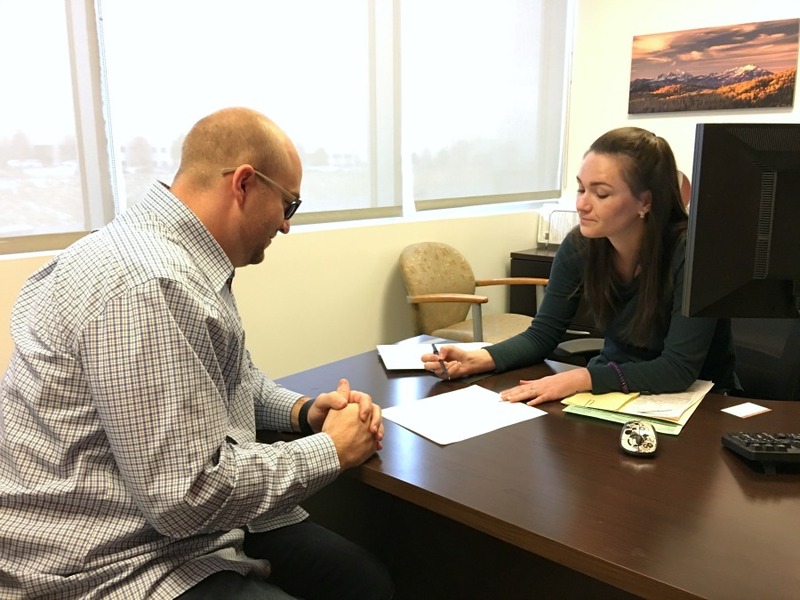 Afterward, we met with a few different doctors (including Dr. Hoopes), who went over the results of our consultation and created a plan for us to get started! They gave us time to ask any and all questions we had about the procedure and gave us plenty of information to look over in case we had any questions arise. Another thing to keep in mind before your surgery is the cost. At the end of our consultation, we met with a billing coordinator to go over the payment for the procedure. They broke down the entire cost for us so there were no surprises. A lot of people say that they don’t consider LASIK an option because it is expensive, but Hoopes makes it affordable for any budget. 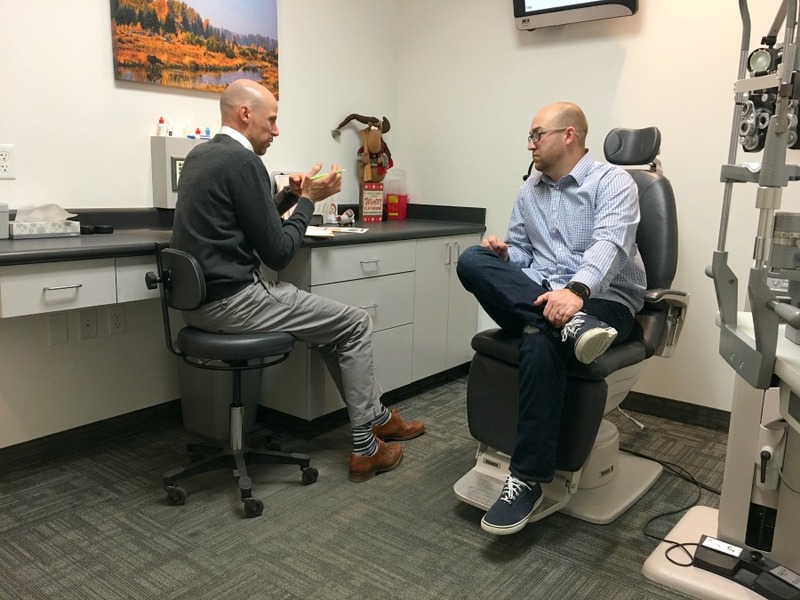 Between eye appointments, contacts, glasses and contact solution we knew we would save money in the long run by going through with the procedure. Hoopes Vision also offers financing and several different payment plans, including no-interest financing for up to 18-24 months. 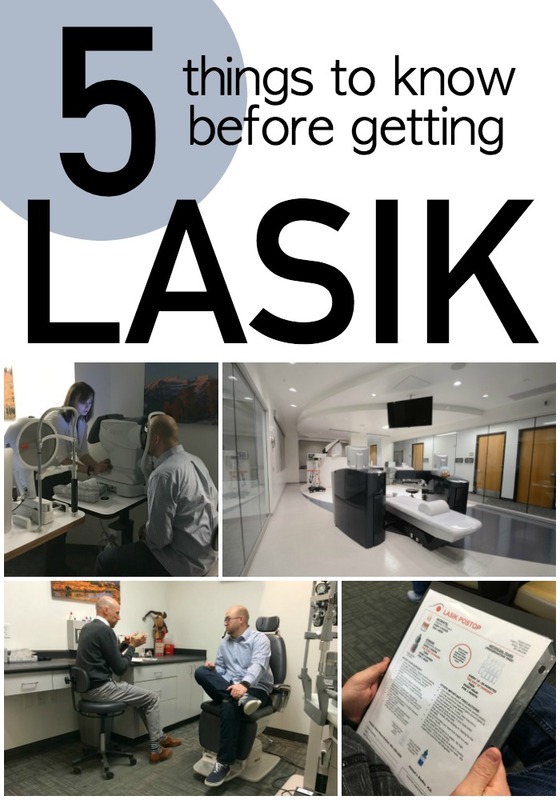 Plans are available to make LASIK fit into nearly any budget! 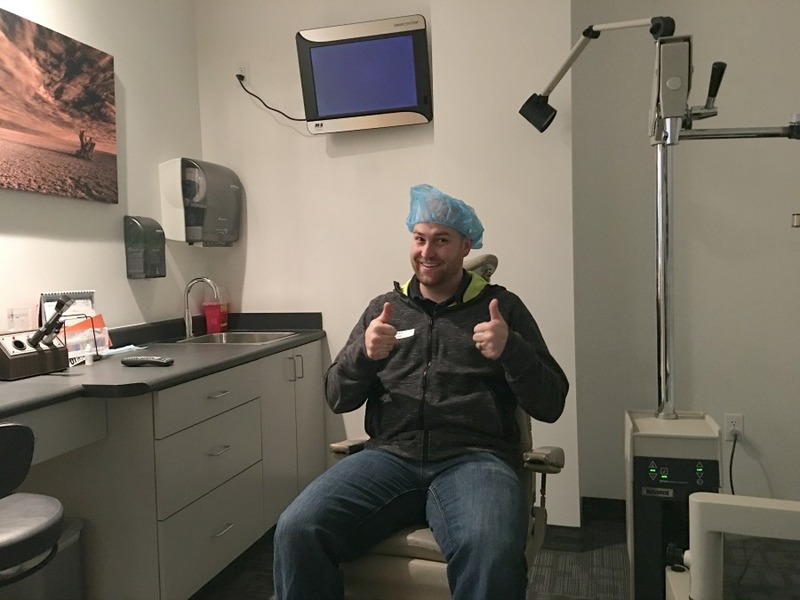 I was seriously shocked at how quick the actual LASIK surgery was! We arrived early for surgery. You will definitely want to wear a comfortable sweatshirt the day of surgery that has a zipper (you don’t want something you have to pull over your head post-surgery). My husband also had to wear glasses (no contacts!) for a few weeks before his consultation/surgery, so plan accordingly! They got him all prepped for surgery! I was able to watch my husband’s entire surgery because of the TV’s showing the procedure and the glass walls of the laser suite. The actual surgery time was less than a minute! It was pretty incredible! Right after surgery, they took us into a recovery room where they checked my husband’s eyes to make sure everything looked ok! We went home after the surgery and my husband rested the rest of the day to let his eyes heal. We picked up prescriptions for the different drops he needed and we were all set (and he got to wear these super cool glasses the rest of the day haha)! My husband went back for a postop visit 24 hours after surgery. They checked to make sure his eyes were healing and how his vision had improved. The day of surgery, they gave us detailed instructions of different eye drops he needed to use and how to care for his eyes following the procedure. In just 24 hours, his was seeing 20/15! If you knew how bad his eyesight was before, you would know what a big deal this was for us. We were so excited! We also scheduled follow-up visits for 1 month and 3 months after surgery. They said that everything looked great and he was good to go! Even a few months later, my husband still can’t believe how well he can see. The one thing he always says is that he wishes he would have done this years ago! 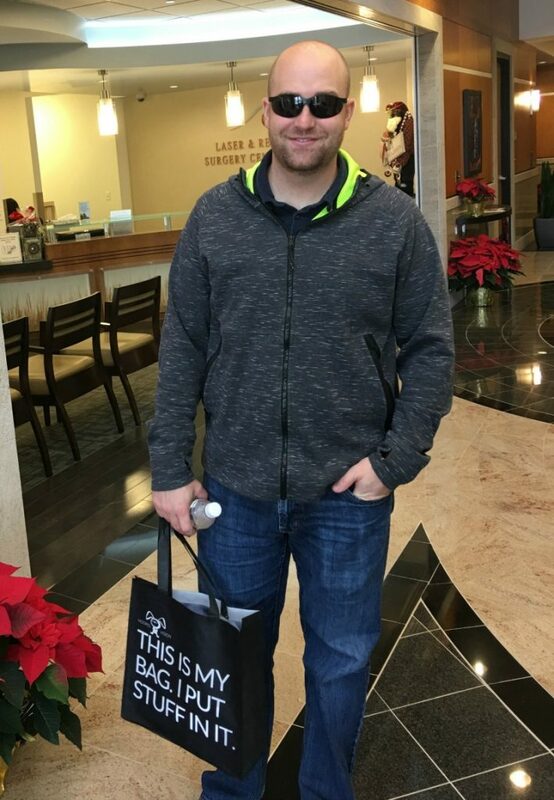 Thanks Hoopes Vision for such a great experience and giving my husband the gift of clear vision! It has been life changing! I had PRK Lasik surgery done in 2008. After 8 even years passed, I've noticed loss of vision to my right eye. Especially in the evening when eye's are really tired I notice that my vision gets even worse. It has been really hard driving at night so I went to see an eye doctor and ended up with glasses again. It feels miserable when one eye sees 100% and the other one is lacking. Doctor didn't recommend to do correction again. And what he said was shocking "I used to say that Lasik vision correction is permanent, but now I don't say that anymore, because I see more and more patients returning to glasses, since it hurts the eyes to wear contacts". It's true, I couldn't put contacts back on, it burns the eye out. I hope this will not be the case with your husband thought. Good luck! Valya, both my husband and I had Lasik done about 10 years ago and I now need glasses and he needs contacts again! No unfortunately it's not permanent! I got Lasik at Hoopes Vision as well, just over 4 years ago. That place is the best, and I recommend it to everyone. My vision is also perfect, so I love that! !